Sharon Campbell is an ABI court reporter and has been reporting for 21 years. For the most part, she has done depositions over the course of that time, but she does enjoy doing arbitrations and hearings, as well. She likes them because of the per diem and a higher page rate, and she finds them to be more interesting overall. She has had the opportunity to work in court when the attorney has needed to bring his own reporter or when the courts used an agency. Working in court has tended to be somewhat intimidating to her, but she has found that once she gets there and the procedure starts, she becomes relaxed and finds court work very interesting. 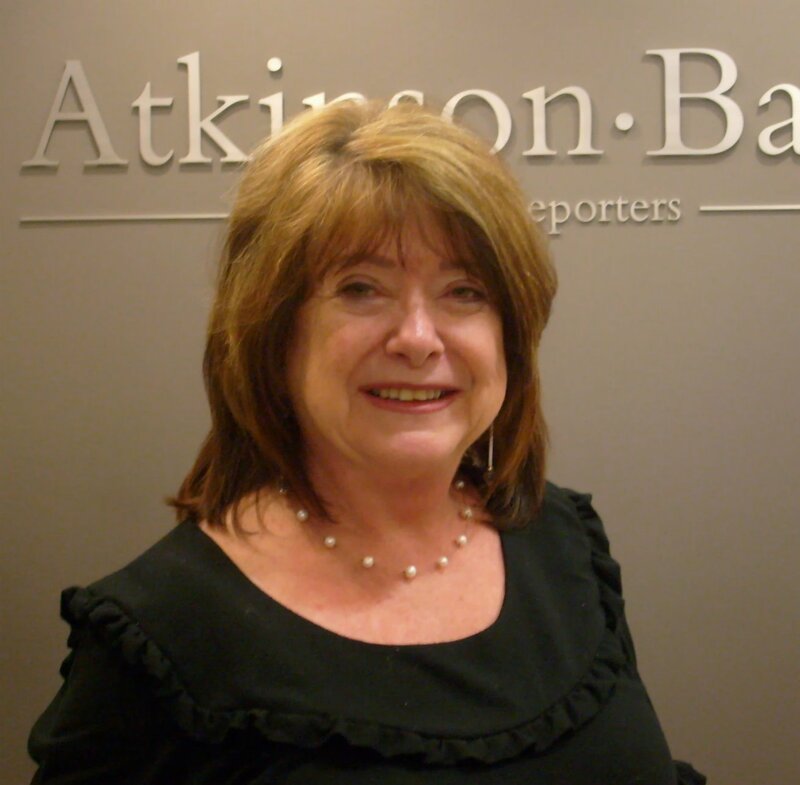 Sharon has her RPR and has been a member of the National Court Reporters Association and California Court Reporters Association most of her career. ABI interviewed her to find out what her successful actions are that help her to be more efficient and to turn her work out fast and accurately. ABI: How long have you been a court reporter, and have you been in the reporting industry consistently over the years? Sharon: I’ve been a court reporter for 21 years. I started when I was 23, after being a legal secretary for a few years. When I got married, I stayed in school and got up to 140 wpm. Then I got pregnant and decided that since I was going to have more than one child, I would wait until my children were in school to go back to court reporting school. After my last kids were in school (I had twins, yikes!!!! ), I went back to court reporting school, got licensed, and have been reporting continuously ever since. ABI: What is the approximate volume of work you produce in an average week? Sharon: I try to get out 1,000 pages a week. The way I can do this is by using a scopist, who goes through the notes and turns the job back in to me. I then proof my own work. I hate to scope and would rather go out on the job every day, so I keep myself on Calendar as much as possible and have someone else do my scoping. ABI: Describe some of the work habits that you adhere to which ensure your quick turnaround of transcripts. Sharon: I pace myself by doing a couple hours’ of work every night. I also work on weekends. If I don’t have anything too pressing, I take a day off from doing anything having to do with court reporting. If I don’t pace myself, then I end up staying up late or working the whole entire weekend. So planning ahead and daily discipline is key to “buying” some time off. ABI: Do you take advantage of the RealLegal software? If so, how does it benefit you and, in turn, the client? Sharon: I really like RealLegal. It saves me so many trips into the office. I hesitated using it at first because I am not the greatest person with computers. I thought, “Oh, no, something else new to learn.” But the office walked me through it so that I could utilize it to my benefit. It makes it easier to get jobs in on time, especially Affidavits of Nonappearance. ABI: What are some activities that you avoid so you can be more streamlined in handling your workload? Sharon: One for sure is I don’t turn on the TV if I have something due the next day because the minute I hit the couch I fall asleep. What I do concentrate on is cleaning up my notes while I’m on the job. I work during the lunch break doing proofreading, as well, because I find that I can get a lot more done while I’m in the work mode at the job, as opposed to when I get home after driving in traffic. ABI: How does being early for a deposition benefit the reporter and the client — both immediately in the deposition and through transcript delivery? Sharon: This is something I really have to work on, but I know that when I get to a job early I feel calmer. This builds confidence. Plus then I usually have time to work a little bit on proofreading. I’m sure my blood pressure is a lot lower, as a result of this. I feel more in control of the situation, and that carries over throughout the job. ABI: How does utilizing a scopist help you be more efficient and timely, without compromising your work? Sharon: I really enjoy using a scopist because scoping is very tedious to me. When I have to do my own scoping, I don’t get things in as fast. But this is all personal. That’s what is great about court reporting: You can develop your own way of doing things to fit your personality and what is comfortable for you. Some people enjoy staying home one or two days and doing their own scoping. It is all very personal. But it really helps to ask other court reporters what they do because I have learned a lot of things from other court reporters, especially in the computer/technology area. It’s amazing how smart some court reporters are!!! ABI: How have you found your scopists and do you have any suggestions re grooving them in so it works well for you? Any suggestions on what to look for or avoid with scopists? Sharon: I am lucky to have a friend who I went to court reporting school with do my scoping. But I think if you find someone by word of mouth — ask other reporters — you will find someone that is really good and can actually help you by building your dictionary and giving you advice. Also, if something bizarre happens during the depo, it’s fun to share that and discuss the people at the depo. It makes you feel like someone is there with you. ABI: How do you get files back and forth between you and the scopist? I send my notes and transcript to my scopist through sendthisfile.com. You pay twenty dollars a month to send it through this service so you can send the big sound files. She retrieves it in an email form, and I send her a word list through email. You can get a foot pedal for your scopist to make it easier to listen to the transcript. ABI: Do you find attending conventions and seminars helpful, and how so? Sharon: I think it’s really fun to go to conferences and seminars with other reporters. I learn so much. You hear such funny stories and compare things with other reporters. I always get ideas which make my job easier. ABI: Thank you, Sharon, for giving us the inside scoop on how you operate and what you feel is important in order to make your reporting career continuously successful.